When sourcing your PCB assembly needs to an electronics contract manufacturer, you expect a fast and accurate quote to begin the process. It’s in the best interest of both the OEM and the manufacturer to prioritize accuracy from the beginning. If the quote is too high, the manufacturer runs the risk of scaring the OEM away. A low quote may win him the OEM’s business, but if it contains hidden costs it could hurt the newly formed relationship. This will be used to identify approved vendors and compare pricing of components and materials. Provide the BOM in excel spreadsheet format and be sure to allow alternates for common capacitors and resistors. When you share it with your ECM, make sure it’s a non-editable format to prevent unauthorized changes. Consider making your BOM into a template that can be reused in the future. 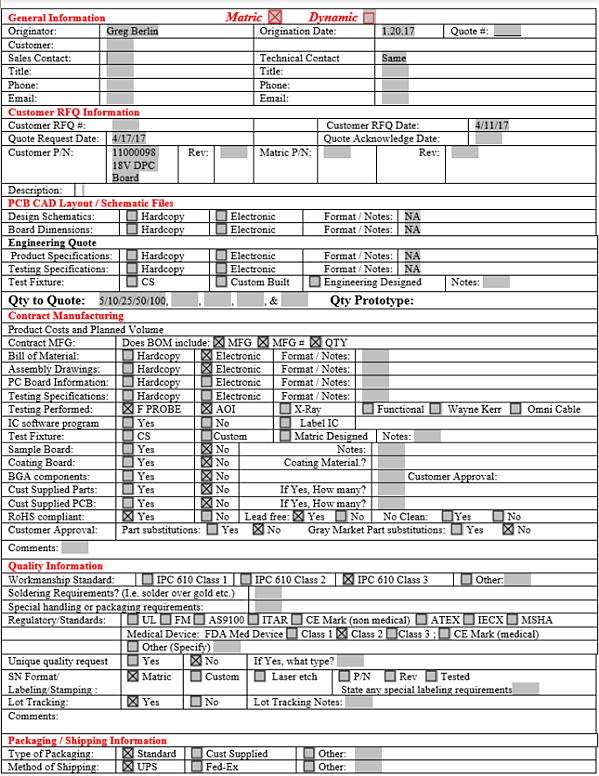 This will provide a sense of uniformity and prevent you from forgetting key information. If the project requires Non-Recurring Engineering, provide the pricing of the NRE with as much detail as possible. In addition to testing, you’ll also want to share any inspection requirements your assembly has. Many electronics manufacturers offer X-ray, AOI and flying probe inspection tests. Most assemblies need to be manufactured to certain standards, whether industry-specific or IPC-regulated. 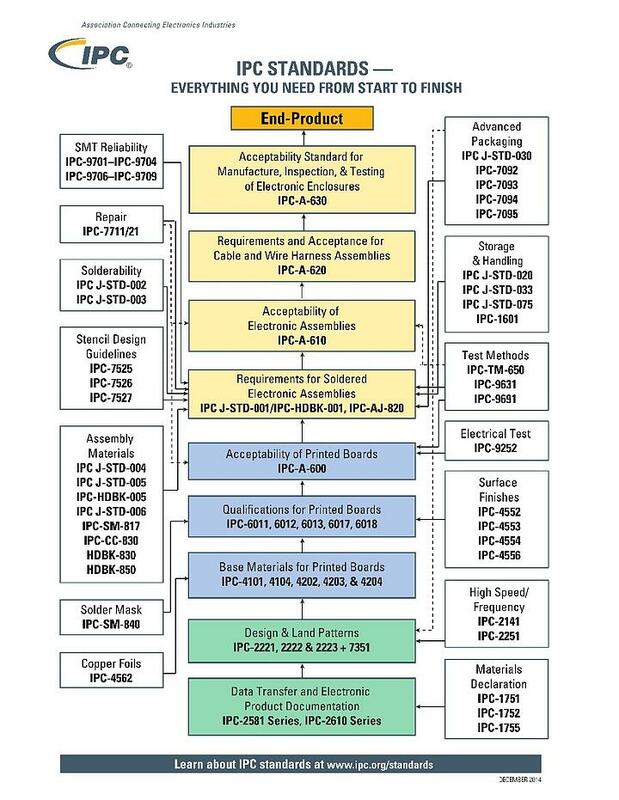 Be sure to inform your ECM which standards your assemblies need to meet as early as possible. If you need quick-turn prototypes, be sure to indicate so. Unsure What Else to Include? If you are unsure whether you need to include certain information, reach out to your electronics contract manufacturer. It’s better to double-check beforehand than risk holding up the process due to missing information after you send the BOM. Some ECMs will have a checklist of materials they require to deliver an RFQ, which can be a smart thing to hold onto even after you’re finished working with them. Remember, each ECM is different and could expect different things from you. The best practice is to prepare your documents before you make the decision to have your assembly quoted. This way, you can adjust your information based on what your ECM requests. 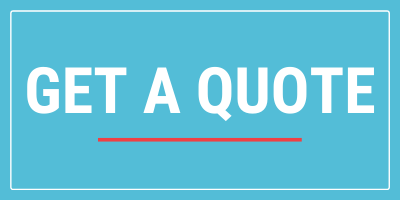 In the end, receiving accurate quotes from the get-go affords you the ability to compare ECM quotes more effectively, and in the end hopefully save you time, money, and stress.